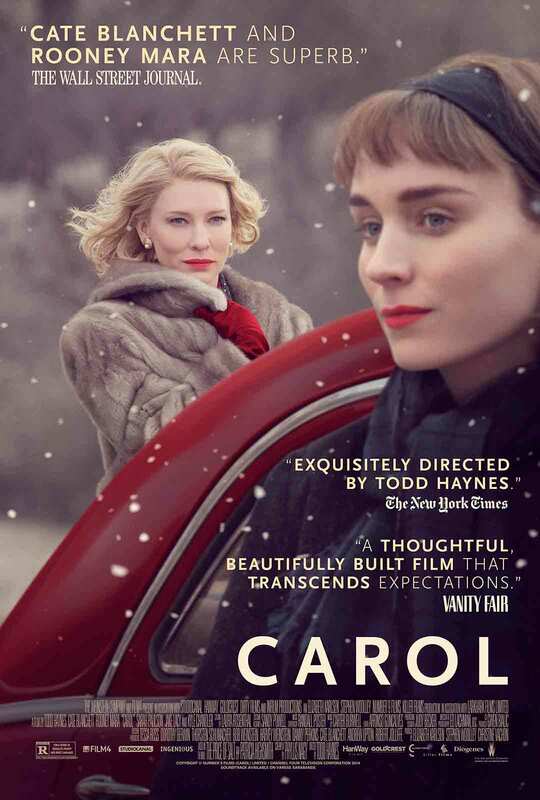 Directed by Todd Haynes with a screenplay adapted by Phyllis Nagy from the 1952 romance novel The Price of Salt by Patricia Highsmith, Carol tells the story of a forbidden love affair set in 1950s New York City. 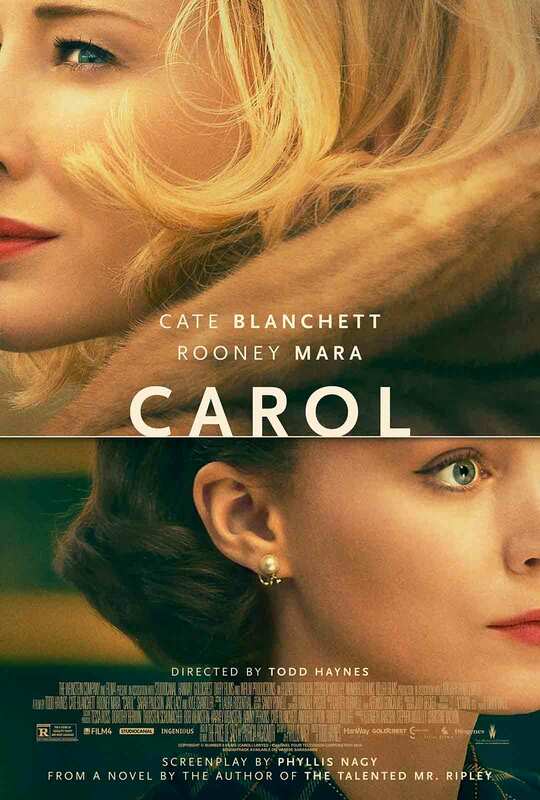 Cate Blanchett stars as a middle aged woman going through a difficult divorce while Rooney Mara stars as her much younger lover. Cate Blanchett and Rooney Mara received Academy Award nominations for Best Actress and Best Supporting Actress, respectively. Phyllis Nagy received a nomination for Best Writing, Adapted Screenplay. The film also garnered nominations for Cinematography, Costume Design, and Best Achievement in Music.